In-House Placements needed to stay front of mind with their key clients so that when a new business vacancy occurs, they’re the first to be called. Required a e-newsletter to communicate news and vacancies quickly and effectively. 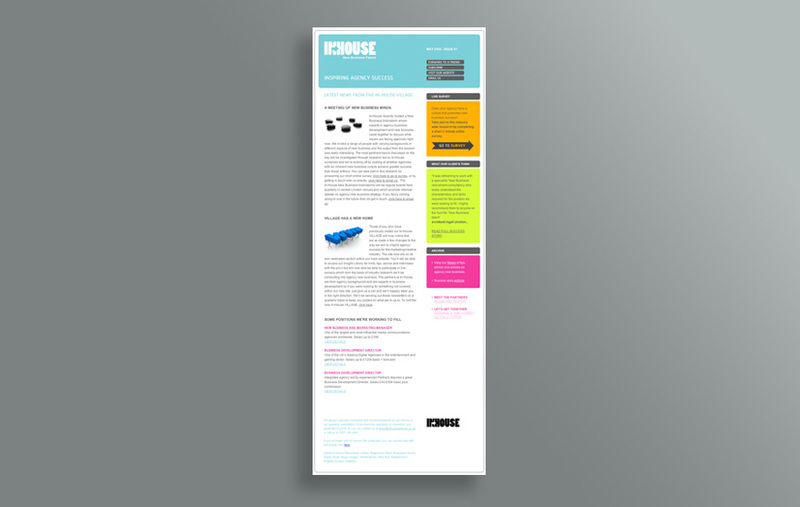 Created an adaptable e-newsletter template for In-House Placements that satisfied all elements of the brief. Instant access to realtime campaign statistics provided evidence of it's effectiveness. In-House are delighted to see that the e-newsletter has driven increased traffic to their website, helping them to retain customers and maximising their investment in the website. It provides and efficient and effective medium to announce news and new vacancies. The reports are proving very useful in monitoring responses and improving future marketing messages.